Best audio converter to convert audio in any format on Mac including MP3, WMA, FLAC, WAV, etc. 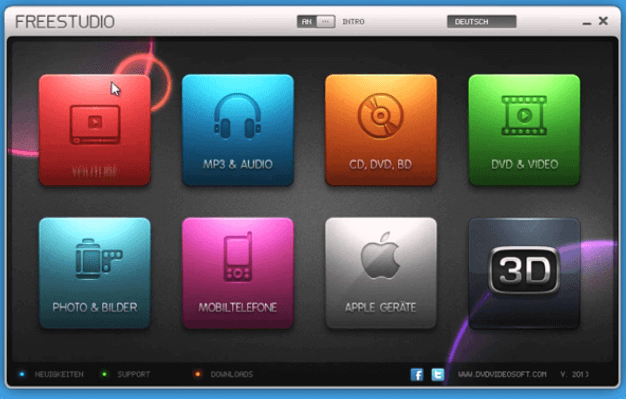 Convert audio and video on Mac with high-quality output and customization. Download media files by pasting URLs from 1000+ popular sites. "What is the best audio file converter?" Maybe you have the same question and looking for a way to convert audio files easily and free. Then you're on the right page. There are a lot of different formats present for the audio files. But the problem is that all the formats are not supported by all the operating system. It happens a lot that a format which is supported in Windows won’t support Mac OS and will show an error. In such cases, we need software that can convert a file format into another so that it can be played on other OS too. For that purpose, different audio file converters are designed. Here in this article, we are providing you the free and best audio converter for Mac, also the online solution to help you convert audio files in a few clicks. 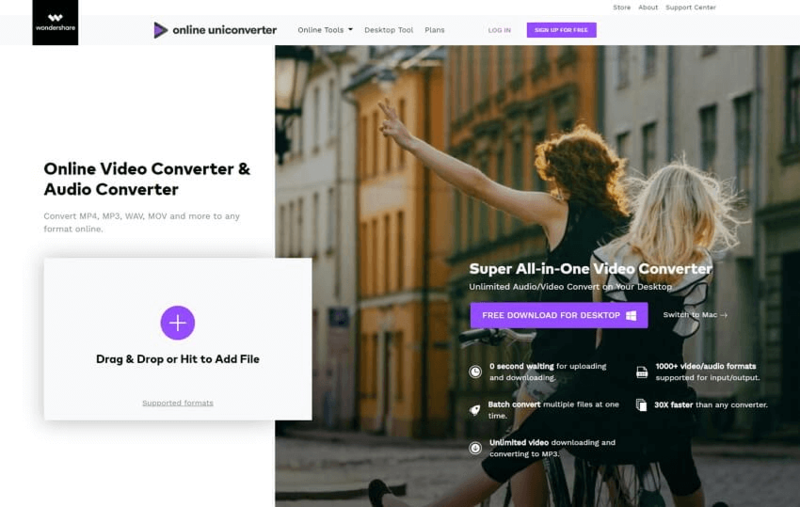 The best alternative for all the software presents on the internet for audio conversion is Wondershare UniConverter (originally Wondershare Video Converter Ultimate). It does an amazing job of converting your media files to a variety of formats. The users are allowed to convert files, DVDs, configure audio quality, add subtitles, edit audio and video, and can also merge them. It is fully compatible with Mac Operating system which makes it the best audio converter for Mac. The apps also have a built-in media player that makes it popular among the different media players. It also offers the fastest converting speed and high-quality output which makes it a perfect alternative to free audio converter Mac. Convert audio files in any format to another on Mac easily and quickly, including MP3, W4A, AAC, WMA and more. Convert audio with out-put quality optional and customized editing. Trasfer files to iPhone/iPad/Android devices or USB Flash Disk at ease. Download audio and video files by simply pasting URLs. Wondershare UniConverter (originally Wondershare Video Converter Ultimate) supports many formats audio files input and output, almost all popular audio formats you want to convert to are included. And you can finish the conversion within several clicks. 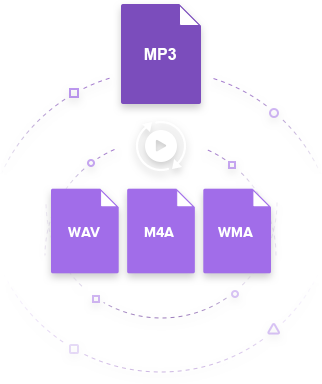 As all audio files conversion steps are similar, the WMA to MP3 conversion will be taken as an example in the next part. Step 1 Add audio files to the best audio converter on Mac. 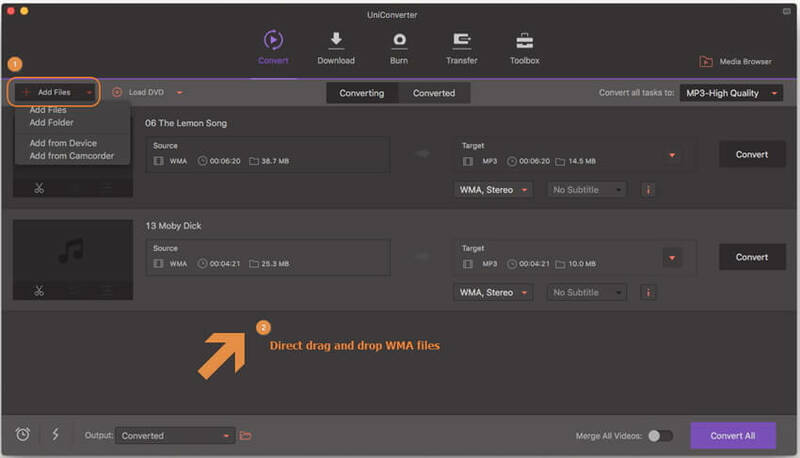 Download and install the Wondershare UniConverter (originally Wondershare Video Converter Ultimate) software on your Mac and launch it. On the home screen, click the Convert tab and you will see an option which says Add Files and has a + icon beside it on the left-top corner. Click on the icon to upload the audio you want to convert on Mac. You can also directly drag the file and drop in into the software interface. Step 2 Choose audio output format. After all audio files have been input, click the option Convert all tasks to: to choose the output audio format from the drop-down list. Step 3 Start converting audio files on Mac. Once you have decided which format you want, click on the Convert button or Convert all button to start the converting process on Mac. The conversion will be finished in some moments. Locate the file from the converted tab and there you have your audio file in a format which is supported by Mac OS. Step 1. Type media.io into the search bar and press Enter button to access the online audio converter on Safari or Google Chrome. Step 2. Click on Add your files on the main interface to input audio files. You can check all supported formats by clicking the Supported format button. Step 3. Choose output format for your audio files by clicking the drop-down menu. Finally, click the Convert button to starting the audio converting process. 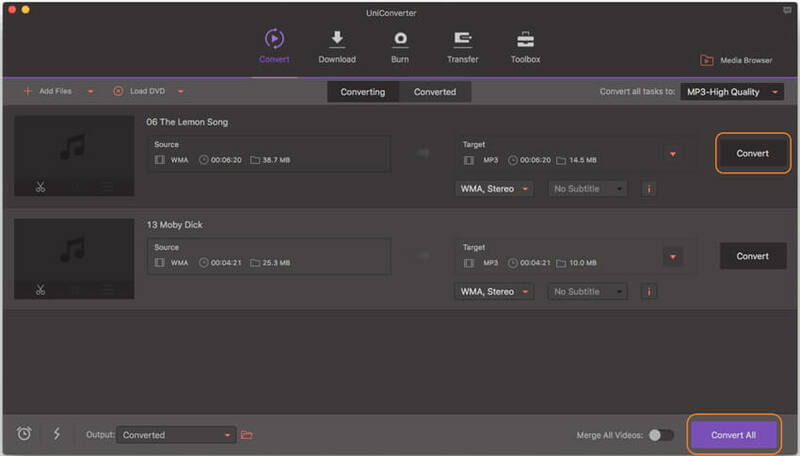 Online UniConverter (originally Media.io) would be your best choice to convert audio files from one format to another if you don't want to download software to your Mac. This part recommends you the best 5 free audio converter for you download on Mac, pros and cons of each are also be listed. 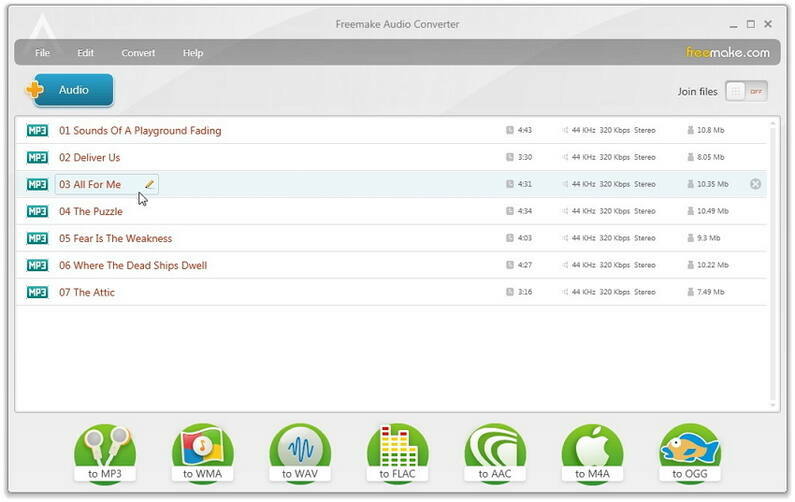 Freemake Audio Converter, as the name suggests is a free audio converter for Mac. The software consists of free and lightweight tools that enable the users to convert audio format in various ways. The users can also change the file type and quality according to their requirements. 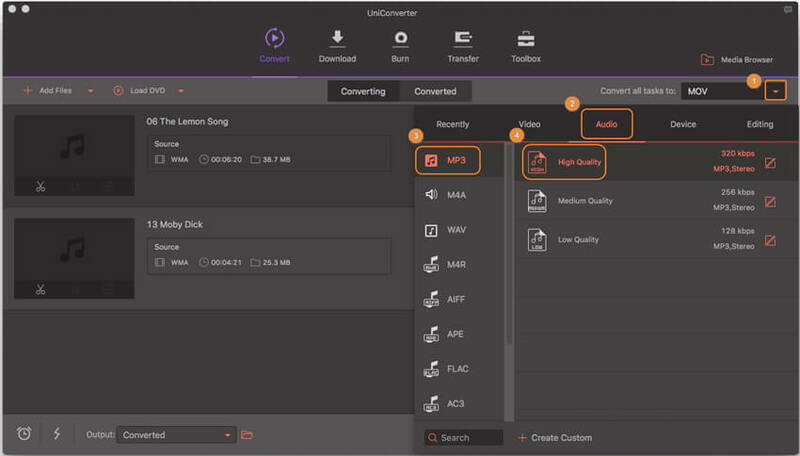 The converter can easily be used for over 500 different types of formats. It also allows the users the burn and copies CDs which makes it a very useful tool for Home Music producers and Enthusiasts. The best thing about this software is that it is completely free of advertisements or additional downloads. The Freemake Audio Converter offers file conversion, audio file compression, BitRate Editing, and effective audio quality control. Provides a lot of variety in audio formats. It is slow in converting and compressing the audio files. User support is not provided. Users can’t experience audio editing. 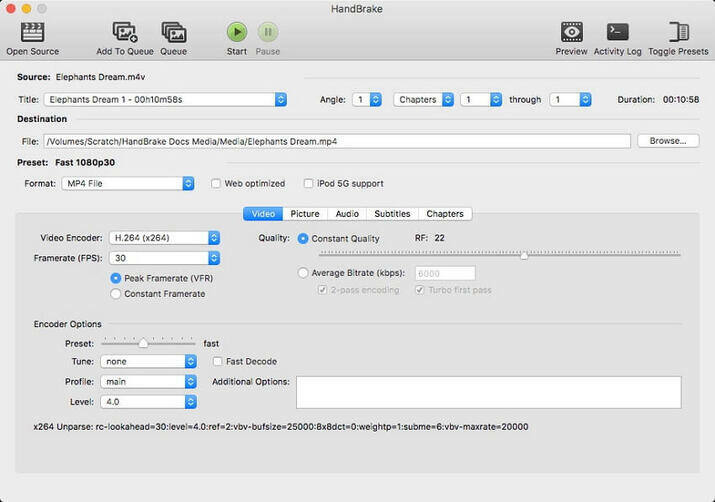 HandBrake is one of the best audio converters for Mac with outstanding features. It is not specifically designed for the beginners, but you already have a great knowledge of audio and video conversion processes then, this is the advanced tool you need. The Mac users will be able to easily operate this software as Mac is similarly advanced. The basic editing skills are enough to work out your way to advance editing and conversion. 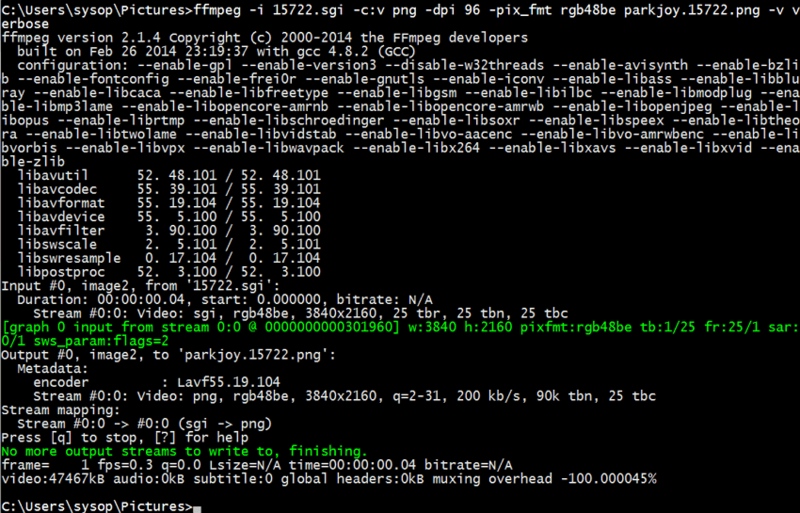 It is a free and open source transcoder that can convert audio and video both. The features will allow the users to rip non-copy protected DVDs and convert WMA format to mp3 format. Users can convert a very large number of formats. It can be used to rip DVDs. It also supports batch processing. Sometimes, it is complicated to use and operate. Sometimes it crashes while decoding audio track. Among all the software present in the market for audio editing and conversion, Switch is the best free audio converter for Mac. It can be used to convert more than 40 audio formats. It can import a complete folder and supports batch conversion along with many other advanced settings. The users can choose from a variety of format for conversion and extract audio from videos files, or from CDs and DVDs. You can also capture audio from live audio streaming on the Internet. You can normalize audio, edit audio tags, download CD album details and even delete the source audio file after conversion with the help of Switch Audio Converter. The conversion process is really fast. The CPU and RAM consumption is minimal. The interface is intuitive and helps the users to learn the process quickly. The quality provided by this software is amazing. The software does not integrate the options to create and save the output profile. The conversion process is only performed for limited items. The Free Studio audio converter is a free audio file converter for Mac. it can be used to download, burn, convert and share your media files for free. It is combined software for audio and video editing and conversion. This software installs a list of 25 tools in your system, but instead of making 25 different icons for these tools, the software has only one icon from where users can access all the tools provided by the software. There are many powerful and useful utilities within the software and also has four sections which specify the programs consisting Internet, DVD & Video, MP3 & Audio, and CD/DVD/BD. It consists of 25 free audio conversion and editing tools. Many programs are separate and not bundled into one single interface. The FFmpeg is a free WMA to mp3 converter which is popularly known for its gold standard media conversion, streaming and processing of audio files. It is console based software but the operations are quite easy. It is open source software and hence can easily be downloaded on any OS platform. Although it is basically a command line tool that does not mean that it is difficult to use as compared to a GUI converter. It just needs a little work and learning skills and you will be able to create and edit audio files with an ease. An extensive list of formats is supported. It is a cross-platform software. It is an open source and powerful software. For starters, the software can be a little bit complicated.